Southern California Archives | California Trout, Inc.
A list of firms to which the RFP was sent is available upon request. Use this page to comment on the RFP. Kick-off event participants inspect and discuss conceptual design ideas for a road culvert that is a fish passage barrier during walking tour of project site. Photo: Russell Marlow. 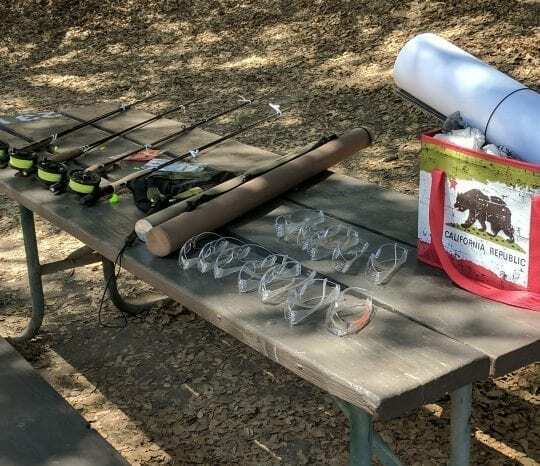 On August 22nd, the Santa Clara River Steelhead Coalition, led by CalTrout, hosted a project kick-off event for the Rose Valley Project at the Rose Valley Lakes Recreation Area in the Los Padres National Forest. Approximately 20 people representing federal, state, county and private entities attended and participated in the day’s activities. 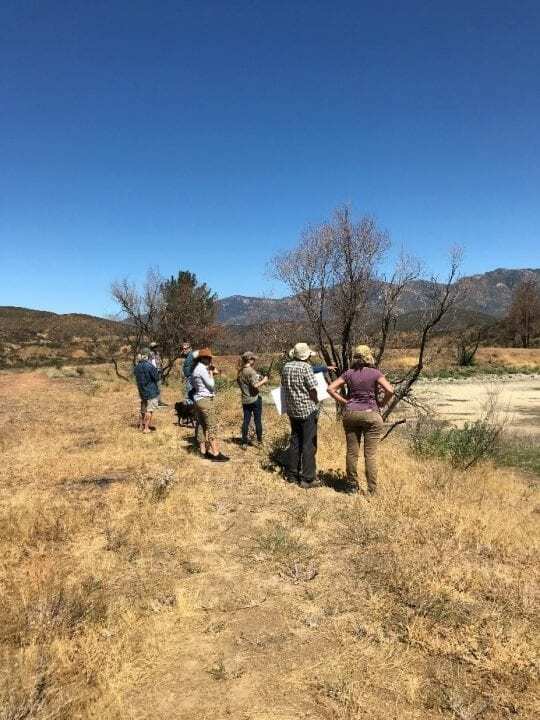 The event kicks off a two-year “Feasibility and Alternative Assessment Study” to assess potential stream and riparian habitat restoration activities at the location. 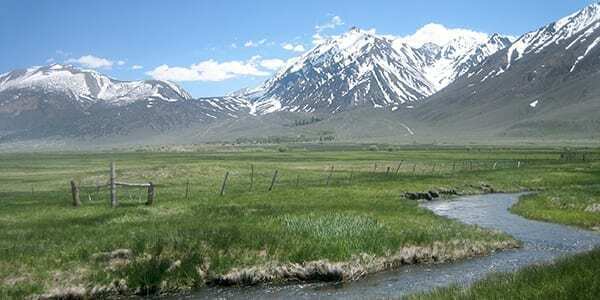 This project will advance the commitment to recover Southern steelhead and native rainbow trout. 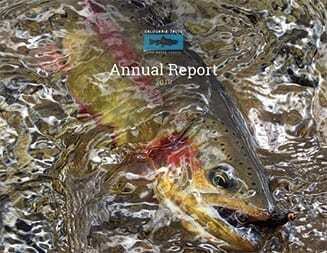 The decline of Southern steelhead is primarily due to land use change, habitat fragmentation in Southern California and climate change, resulting in fish not having enough water or clear, unblocked thoroughfare from the headwaters to the ocean. 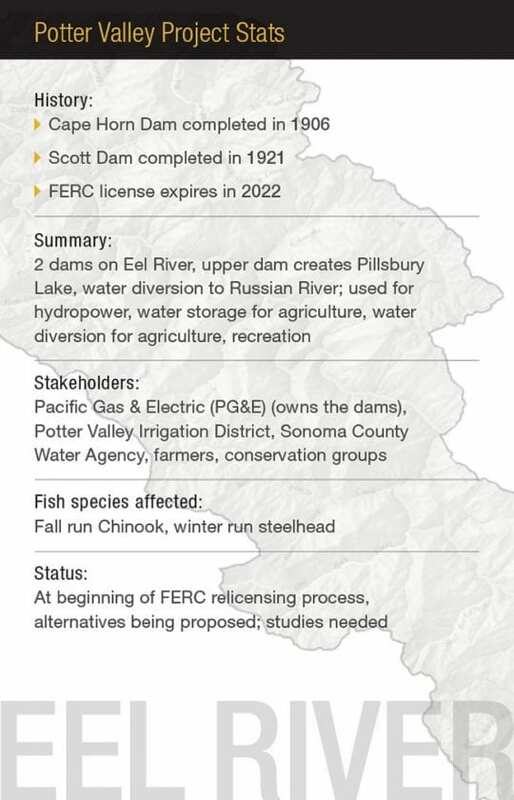 The project goal is to reconnect fish migratory habitat by removing four fish passage barriers and restore flows of clean, fresh water to levels that support steelhead and people. 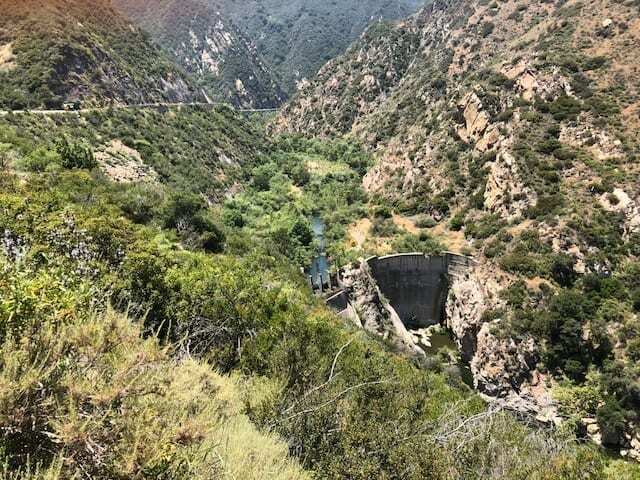 By restoring natural river function in Rose Valley, we can protect all listed threatened and endangered aquatic species in the Sespe Creek Watershed. Additionally, the floodplains and riparian corridors along Southern California’s prominent steelhead rivers have experienced decline due to invasive species that consume and out-compete steelhead for habitat and food. 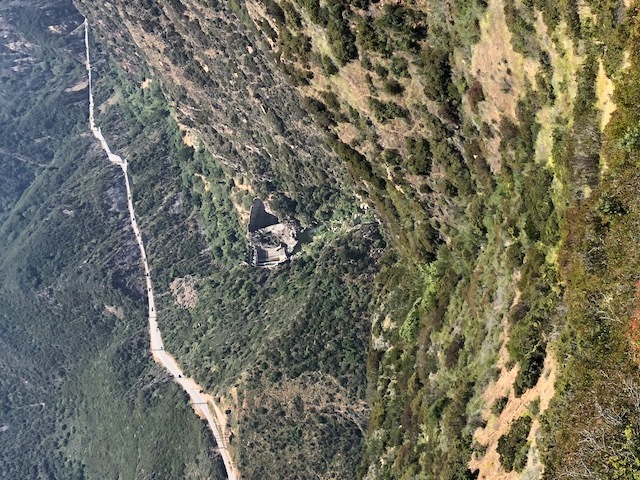 This project will increase recovery and resiliency of native species in the Sespe Creek watershed after the Piru fires by analyzing options to remove aquatic invasive species and enhance wild and scenic rivers. 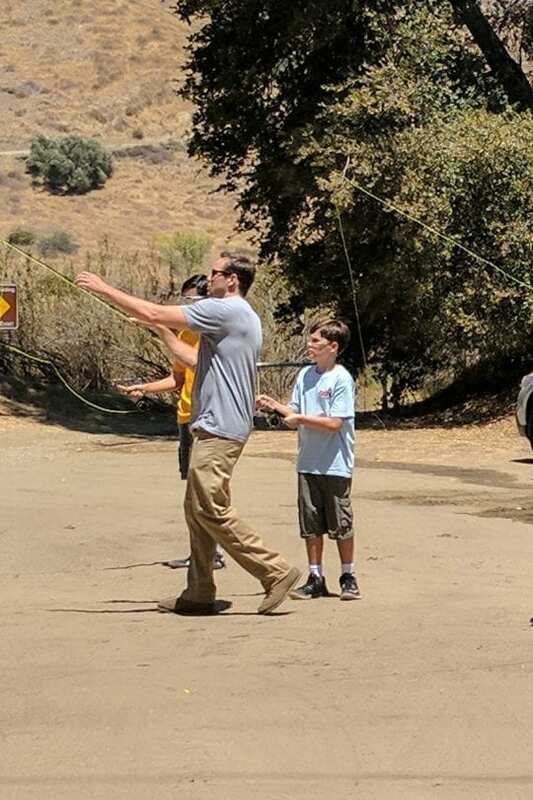 On Sunday August 5,2018, CalTrout led a Fly Fishing 101 event at Lake Piru in the Santa Clara River watershed. 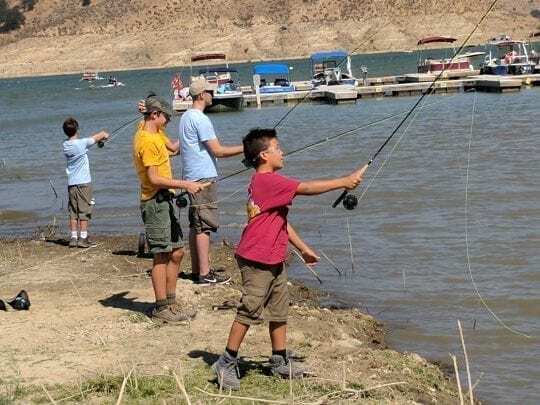 About 18 scouts and parents from Boy Scout Troup 799 – Thousand Oaks, CA learned the basics of fly rods, reels, lines and leaders; and how to fly-cast. 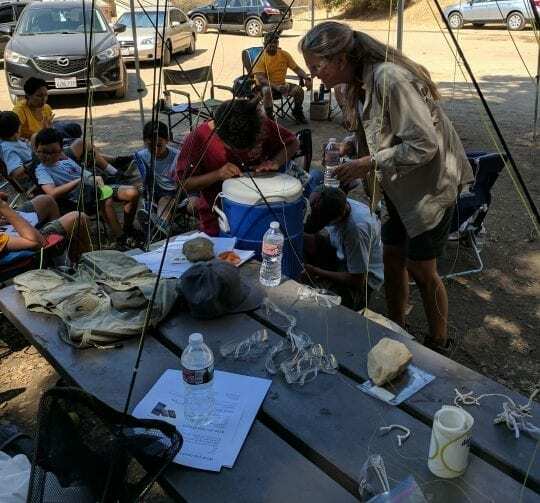 Additionally, they also learned how to read the water and tie essential knots; how to identify insects and imitation fly patterns that trout love to eat; and fundamentals of stream ecology. 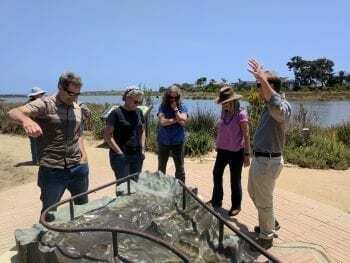 The class was taught by Sandi Jacobson and Russell Marlow of the South Coast region. Pictured above is Russell showing a scout how to cast. 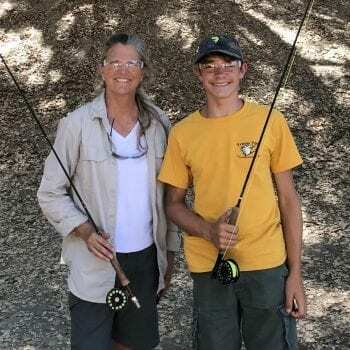 Thanks to the Fly Stop in San Diego, CA for donating supplies and a camo hat to the winner of the fly-casting competition; and LL Bean and Golden State Flycasters for fly-rod combos. Here are the scouts testing their new skills out on the water. They all got some time on the water but it was a little too windy for using hooks to catch fish. We hope all the Scouts had a great time learning how to cast and about stream Ecology. Thank you to our South Coast staff and our sponsors for putting on a great event. Until next time! 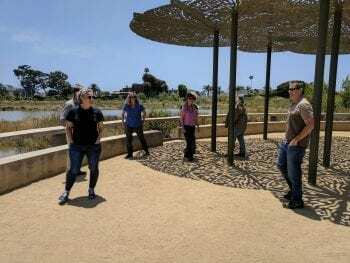 On June 5th, California voters approved Prop 68, the Parks, Environment and Water Bond, a record $4.1 billion bond package that will provide funding to a host of environmental priorities ranging from climate change resilience to stream restoration. This is a big win for protecting California’s natural resources and getting more people in nature, which is very important since you cannot steward what you do not know. Prop 68 will likely be a boon for some long-delayed projects that have struggled to find funding. 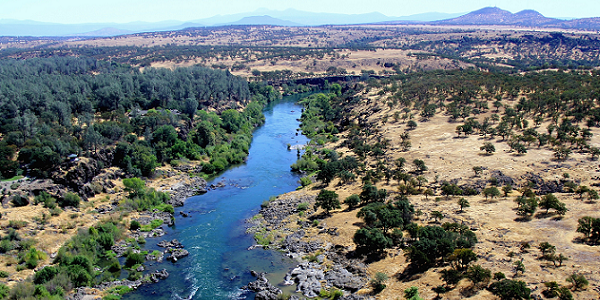 This is a significant start to help California’s fish and rivers recover. But only if the funds are put to work- and that’s where we come in. 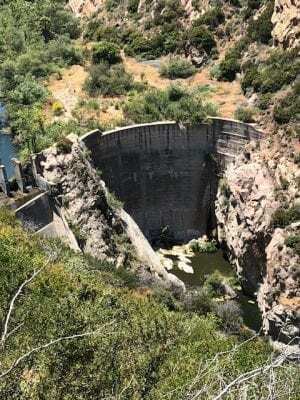 Decommissioned & outdated Rindge Dam in Malibu Canyon. 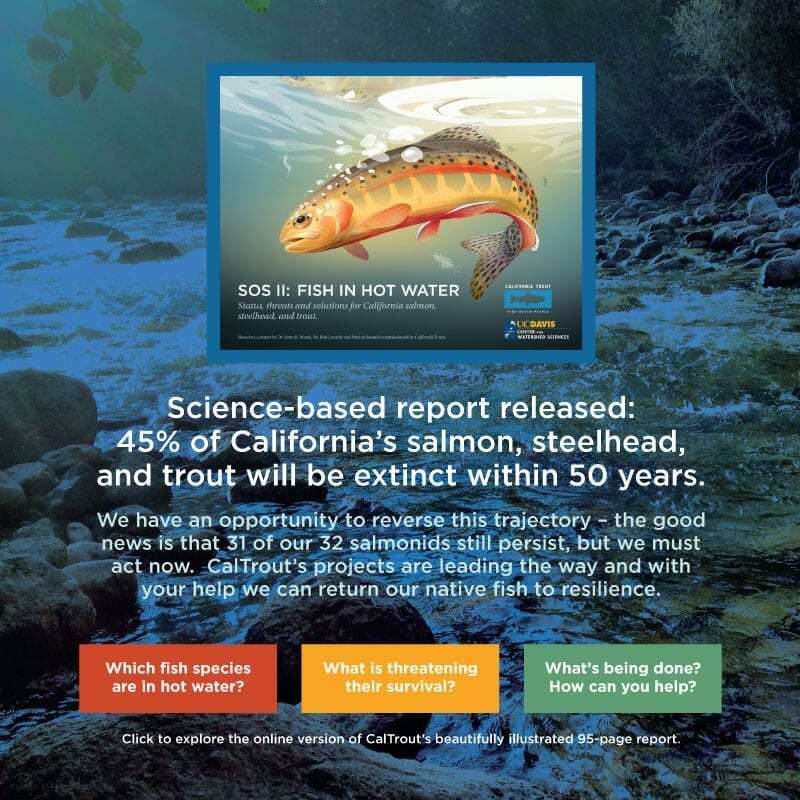 Currently in our 47th year since establishment, CalTrout is working harder than ever: increasing the number and scope of projects, and therefore our impact, all over California. 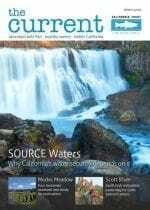 We will secure Prop 68 funds for projects like removing fish barriers in Southern California including Rindge Dam, which is a huge detriment to endangered Southern steelhead; and continuing to partner with farmers in the Central Valley on multi-benefit floodplain projects to help threatened salmon. 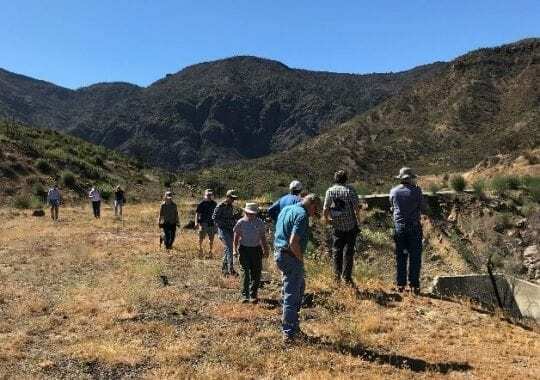 CalTrout joined members of State Parks and Resources Legacy Fund on a coast-to-crest tour of Malibu Canyon on June 6, strategizing for the future removal of Rindge Dam. 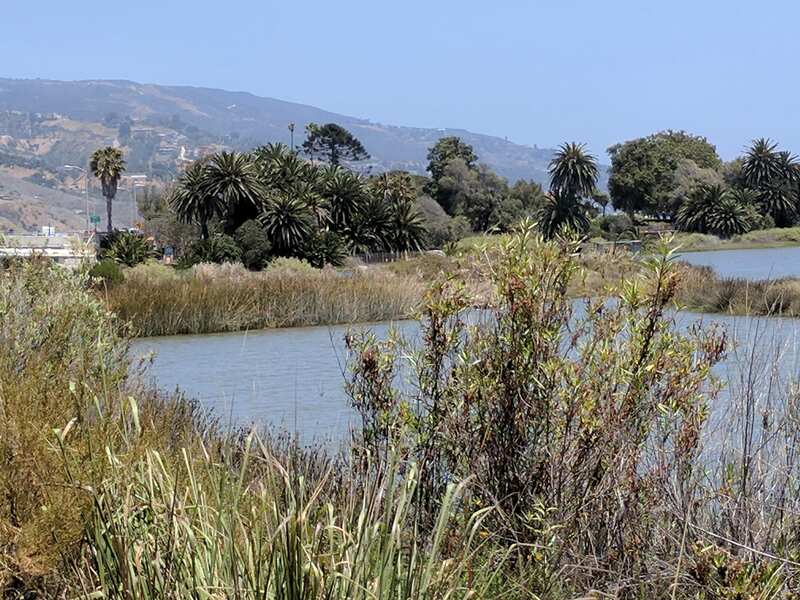 The 100-foot dam, built for water storage, became obsolete just 30 years post-construction after the reservoir filled entirely with sediment– sediment that is needed for sand replenishment at the beach. It was decommissioned in 1967, but still provides an illegal jumping-off point for visitors. The photos below (courtesy of State Parks) show the renovated estuary and majestic beauty of Malibu Canyon, and miles of high quality spawning and rearing habitat that would become accessible to endangered steelhead and other species after dam removal to complete their own coast to crest tour. 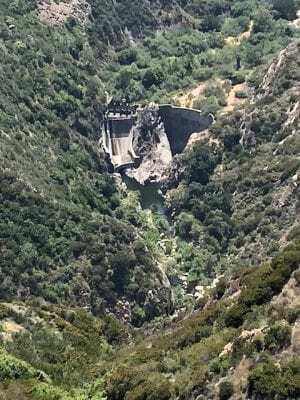 The removal plan for Rindge Dam is set to be finalized within the next couple months by the California Department of Parks and Recreation and the U.S. Army Corps of Engineers; it was approved by the California Coastal Commission earlier this year. The plan has been in the works since the 1990s. Progress has been slow because multiple agencies and organizations are involved in the planning and because the waters that drain into the ocean are federally protected, both U.S. and state agencies must coordinate their efforts. 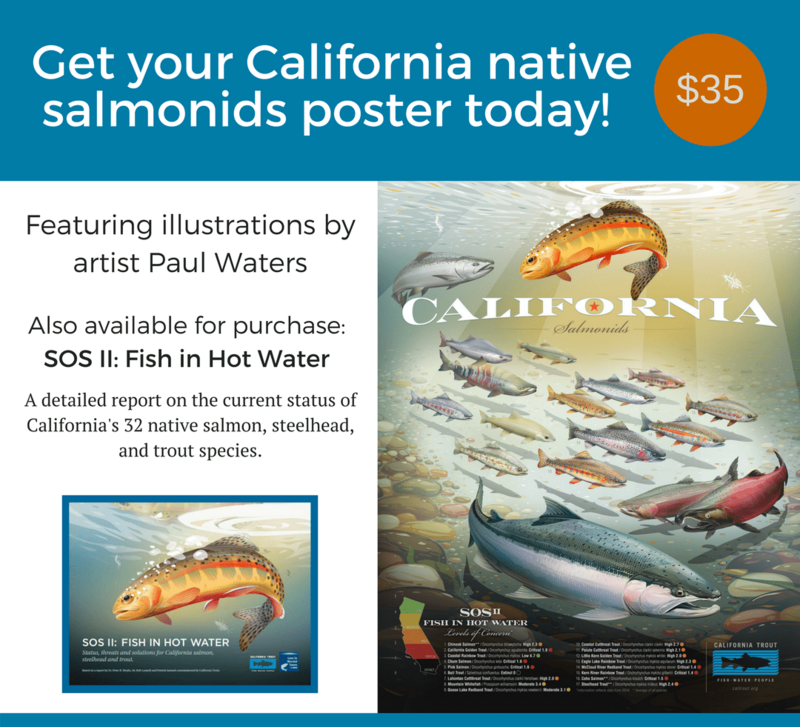 CalTrout has been involved with this project for decades. 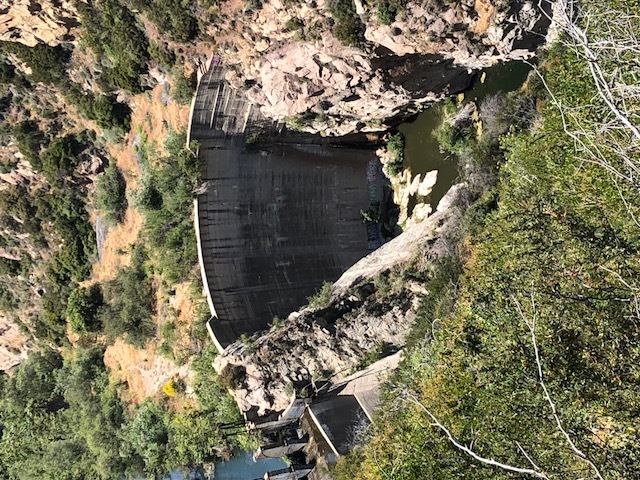 Southern California steelhead and fish passage improvement remains one of our Key Initiatives. 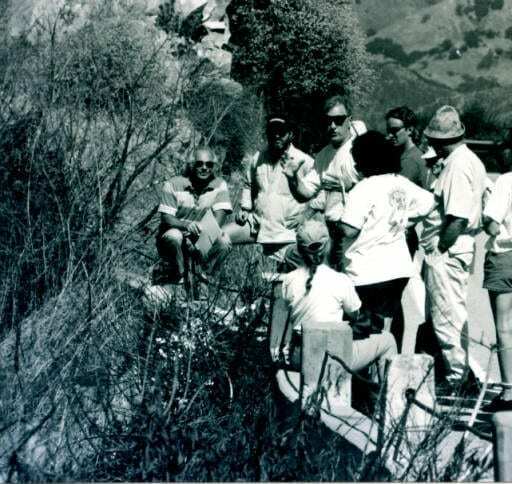 CalTrout visiting Rindge Dam in 1998. Photo courtesy of Malibu Historical Photograph Collection, Pepperdine University Special Collections and University Archives. The LA Times published an op-ed by CalTrout’s South Coast Program Director, Dr. Sandra Jacobson, on the plight of Southern steelhead and the conservation projects that are happening right now to recover the population. Locals who like to fish off the coast might be surprised to learn that Southern California steelhead were once prized catches along the coast. With dwindling population numbers, these fish are now federally endangered. 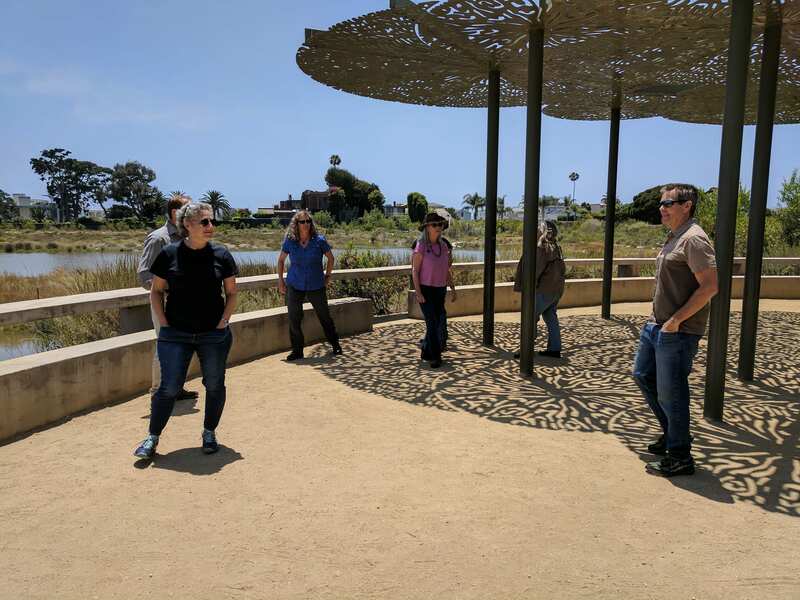 Their struggle is symbolic of a larger challenge: maintaining healthy waterways for people and wildlife in urbanized coastal California. But real progress is being made toward recovering this iconic species. Recent efforts provide hope that these native fish can coexist with people, even in this highly altered landscape. 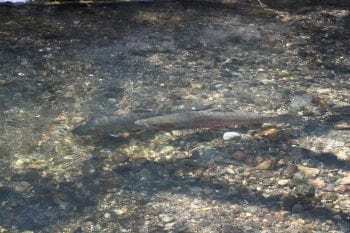 The elusive Southern California steelhead are an incredibly resilient species. Listed as federally endangered in 1997, they represent the southern edge of the steelhead species’ range. Their genetic diversity has, so far, enabled them to adapt to higher water temperatures (up to 77°F! ), low streamflows, and weather variability. Southern steelhead are the fish of the future. Their amazing resiliency is a major reason why we need to protect this distinct species. Sustaining their genetic diversity is crucial as it may offer clues that could help other steelhead populations further north weather hotter water with a warming climate. Sandra leads the South Coast Steelhead Coalition which is charged with implementing the 2012 National Marine Fisheries Service Southern California steelhead recovery plan. We work with a broad range of Coalition partners– non-profits, government agencies, tribes, and interested stakeholders– to re-establish steelhead populations in high priority watersheds. Removing in-stream barriers is a key part of our steelhead recovery plan since fish passage among the complex array of concrete infrastructure is a major concern. 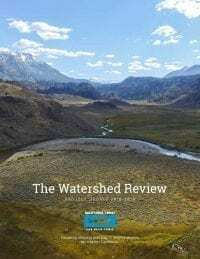 CalTrout’s headwaters-to-ocean recovery approach will ensure the long-term persistence of self-sustaining wild populations of Southern steelhead. CalTrout is an active supporter of Proposition 68, the California Clean Water & Safe Parks Act, as it heads toward the vote this June. As our Executive Director Curtis Knight explains, “we need this important funding to support our state’s water needs and struggling fish. 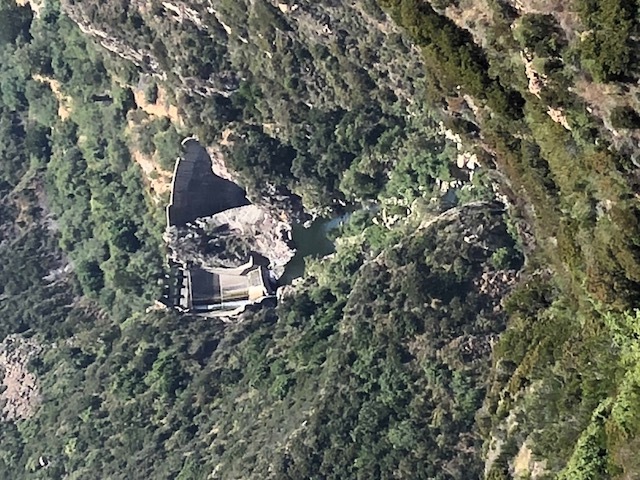 This is a valuable investment in our water security.” Californians have a responsibility to act, especially since our state can no longer rely on the federal government to protect our resources. If passed, $4 billion will be invested in protecting our own unique natural resources, fighting climate change, and ensuring every Californian has access to clean drinking water and safe, accessible parks. Of that, $1.6 billion will go towards ensuring clean drinking water, increasing local water supplies, and protecting our state from future droughts. 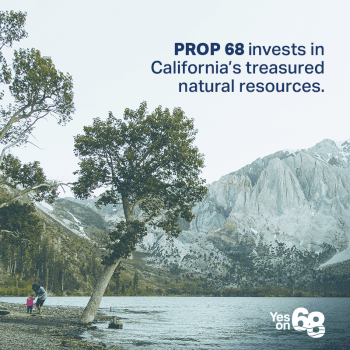 Through critical and cost-efficient investments in water supplies and water quality, Prop 68 addresses water at its sources—rivers, lakes, streams, natural areas, and groundwater—and provides funds to make localities more self-reliant by increasing water capture and recycling. 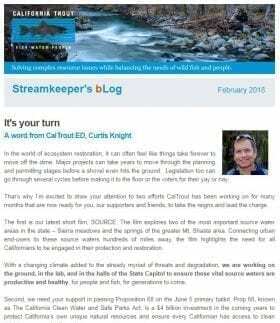 * A South Coast Steelhead Coalition project CalTrout is involved in replacing a bridge on the Santa Margarita River that blocks the migration of Southern steelhead and puts the public at risk due to flooding after storms. In this cycle we’re in of drought and extreme weather, now is a critical time to support this legislation to protect our communities from ecological degradation and flooding. Vote Yes on Prop 68 to provide a better California for future generations. 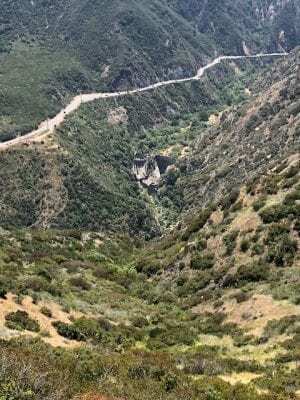 We can give them the same chance to experience the natural wonders of California as we and our ancestors before us did. Share image to right. Click to view. Tweet in support of Prop 68. Visit www.yes68ca.com to learn all you can. Here you’ll also find more images to share plus information on volunteering for the cause. Working together to protect and enhance our wild fish and fragile angling resources through research, education and advocacy. 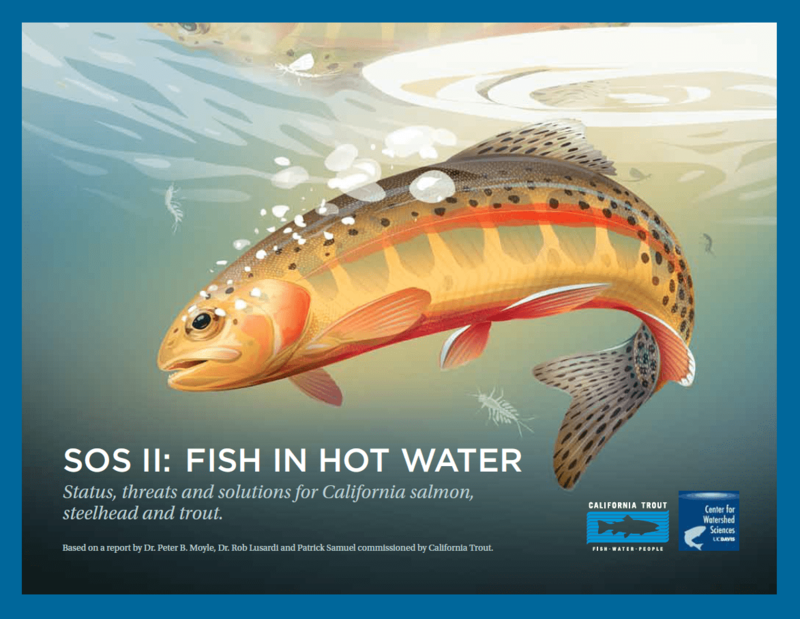 California Trout and The Fly Shop have joined in partnership for the 2% for Trout program which will support our fish conservation and restoration efforts. For every trip reservation made through The Fly Shop, either to Alaska, Kamchatka, Argentina, or any other local or worldwide fishing destination, a donation will be made to our organization equal to 2% of the cost of the travel package. 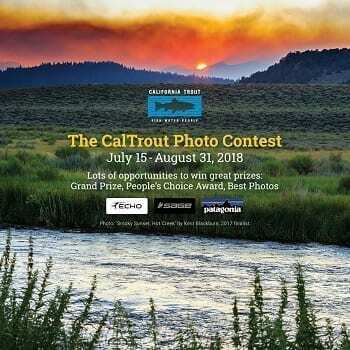 “We are thrilled to partner with The Fly Shop and appreciate their commitment to CalTrout and our work. 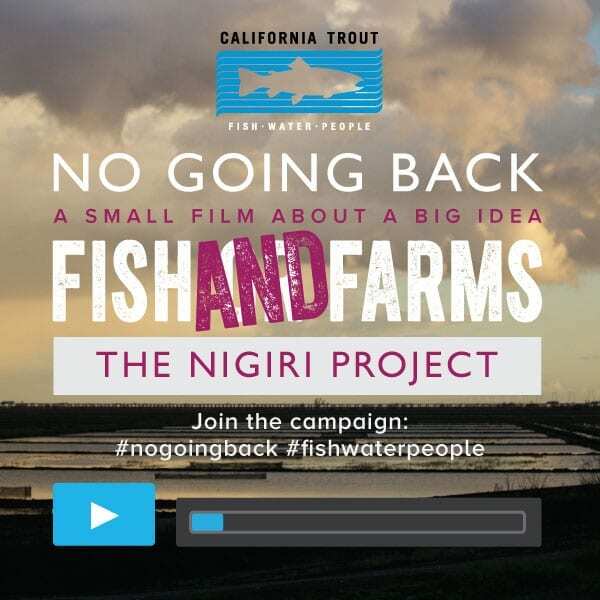 Together we are ensuring resilient wild fish thrive in healthy waters for a better California.” – Curtis Knight, Executive Director. Based in Redding, California, The Fly Shop is one of the most recognizable names in fly fishing retail and also operates a full international travel department. Owner Mike Michalak has made a quality reputation over his 40 years in business. “Here at The Fly Shop, it’s always been about people. Since April of 1978, I’ve worked to surround myself with the most talented staff, the best products, and the finest angling travel destinations in fly fishing. Along the way, most of our customers became our friends. Everybody says they’re the best, but my people have been proving it since our doors opened,” explains Mike. Explore the shop’s website where they include detailed descriptions and photos of each fly fishing destination. 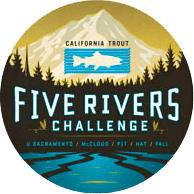 To make your reservation through the 2% for Trout program, please contact Patrick Pendergast, Director of International Travel, The Fly Shop®, 530-222-3555, pat@theflyshop.com, www.theflyshop.com.